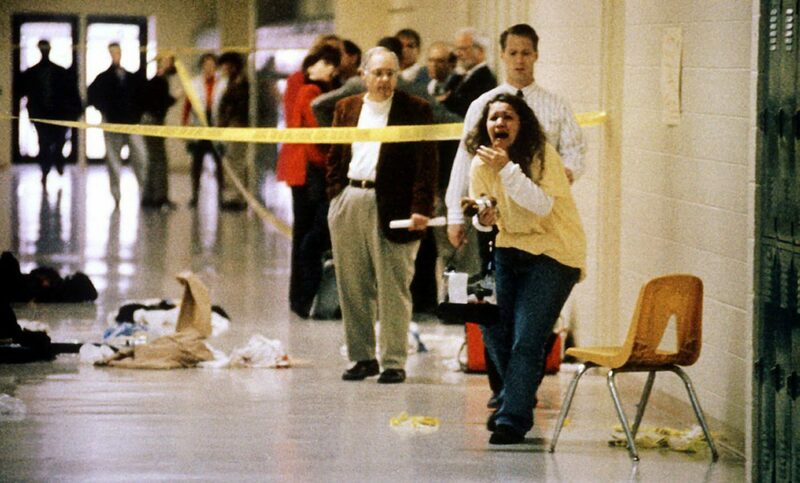 I wanted to say a few words in light of the approaching 21st anniversary of the shooting at Heath High School on Saturday, although “anniversary” feels like too positive a word for this sort of marking of time. I extend my greatest sympathies to those who are still grieving the loss of young lives and to those who still suffer from the trauma of horrific violence within a space that was supposed to be safe. As you well know, grief and anxiety are life-long burdens that can ebb and flow. I hope you find support from loved ones, faith leaders or mental health professionals any time you are struggling. It is my goal through this oral history project to honor the lives lost and convey the pain, resilience and hard-earned wisdom of those who survived. Beyond this, I hope that these efforts, along with those of the wider community of survivors of mass violence, help ensure that we never have to add any more of these somber anniversaries to our calendars. I recently returned from the Oral History Association’s annual meeting in Montreal. The above is the poster I presented at the conference. It describes the plans for the Heath High School Oral Histories project and provides an overview of the history of the shootings at Heath in 1997 and Marshall County in 2018. The response of visitors to the poster session was similar to that I generally find when I discuss this project. People were very interested and felt that the project was both historically significant and extremely relevant to the current day. However, they were also frustrated by the very fact that this story was so timely––that such tragedy was not confined to the past, but rather continued and repeated through the years into the present. During the poster session, I also had a very informative discussion with Pamela Schwartz, the chief curator of the Orange County Regional History Center in Orlando who has overseen the OneOrlando Collection, a collection of memorial objects and oral histories from individuals affected by the 2016 Pulse nightclub shooting. The work of her team provides an incredible model for preserving memories of a significant but traumatic event in a community’s history. They have expertly navigated a course that balances sensitivity to the memories of the dead and the suffering of the living with awareness of what researchers and the public need to know (which can be different from what they want to know). Given the recency of the Pulse tragedy and the vulnerability of the Latinx and LGBTQ+ communities affected, the OneOrlando team are also working to determine when information will be made available. This concern will be important to keep in mind with ongoing efforts to document memories of the shooting at Marshall County. Most of the survivors are still minors, which makes them especially vulnerable, and the trauma of everyone affected is still very fresh and raw.